Episode 61 – Why did the Romans Survive? Download: Why did the Romans Survive? Very good episode as always Robin ! 5/5 stars ! I like the end of the century episodes but I am really looking forward to getting back to the narrative. Thanks Robin! Thank you for the podcast. I too enjoy the narrative but I think the end of century podcasts are vital for setting the stage for the Middle Byzantine Period. This is the foundation for understanding the the next century. I’m sure you’ll do a great job narrating the seige of Constantinople and the ensuing Iconoclast contraversy. I can’t wait for those shows. The podcasts are well researched and entertaining. Interesting! I guess my question now is…If central Anatolia was no longer safe to farm in, the major cities had been raided to insignificance, and even Constantinople’s population had declined by perhaps 90%…where did all those people go? Prior to this I had assumed that Constantinople had remained more or less untouched and unchanged (not in terms of culture obviously, but population and economics) until 1204 which had delivered it the blow from which it never really recovered. If anything I might even have thought that its population would have risen during this period…after all, the refugees from all those wars and invasions and raids had to go somewhere, and where better than safe secure Constantinople, where the streets are paved with gold? Hey, out in the countryside people just adapted to the diminished status of towns. Most of those cities were only 5-15,000 in terms of population. So people would return to their farms or work for someone else. Or move somewhere where an army, a church, a monastery etc could support their particular trade. Even though the centre of Anatolia was no longer very safe people still stayed there. If they had disappeared the Arabs would have had no reason to come back! As I mentioned on the podcast it was possible to avoid the worst of the raids if you had a fort or military post nearby to flee to. Plus people are smart and hid in valleys and forests where they thought they would be safe. So the population was insecure but people didn’t disappear. 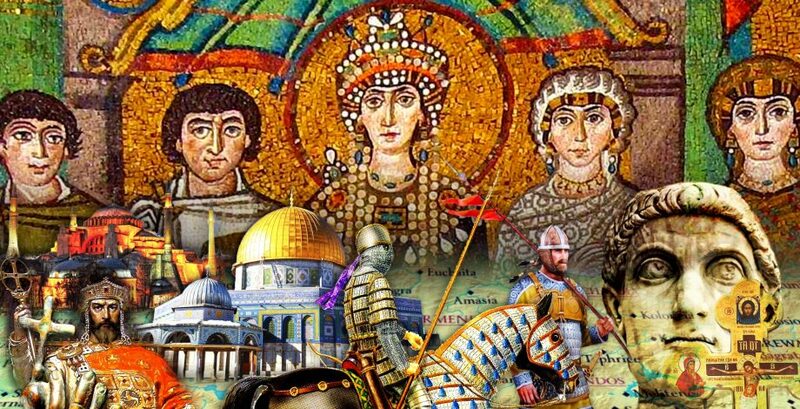 As for Constantinople, yes in some history books it comes across as if the population remained around 500,000 until the crusaders sacked it. But I seriously doubt if the city would have been so weakened by 1204 if it’s population was that large. The plague, the grain dole, the aqueducts being cut. These things drove people away. Where did they go? If they had no money they probably tried to go home to the villages they’d come from. Or if they knew someone wealthy they might try to find work or placement on one of their properties. If they had money they might buy a farm across the Bosphorus. Have quite enjoyed these ‘big picture’ episodes, stepping away from the narrative and the minutiae.